Want space? 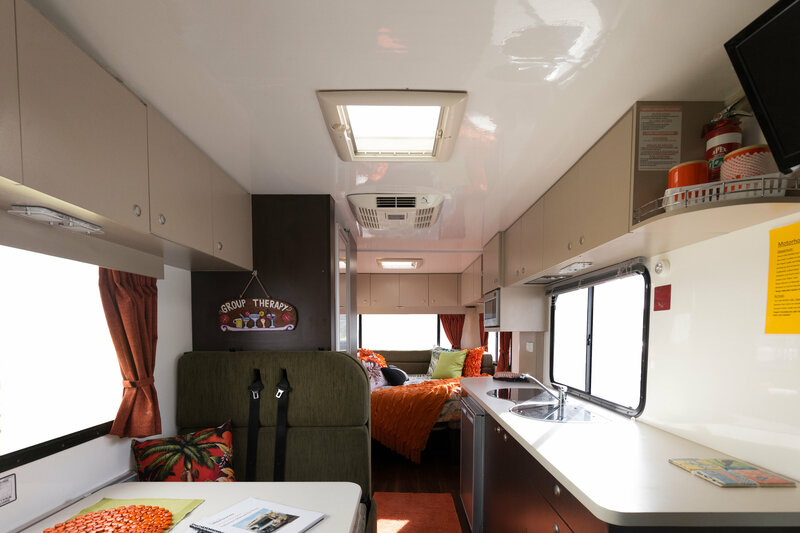 Envy might be the right motorhome for you. 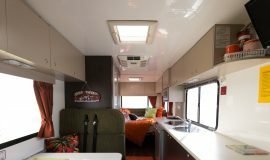 At 26 feet long, it is spacious, and well designed for style and comfort. 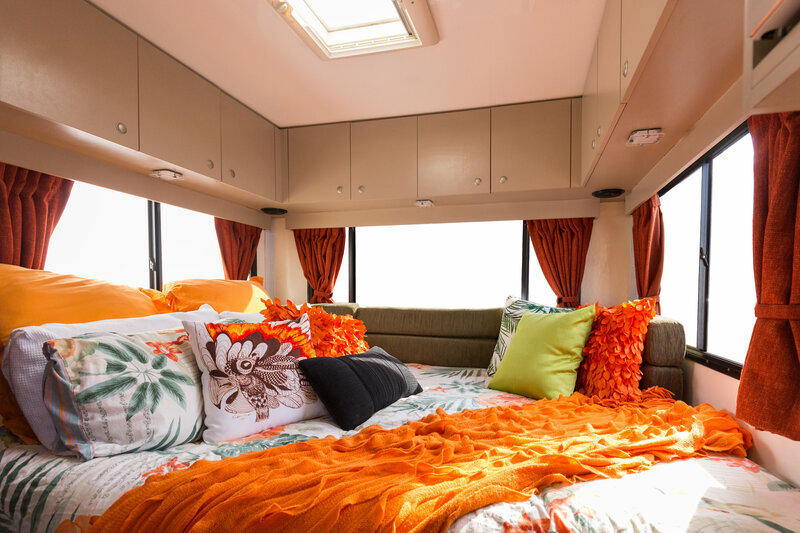 It can sleep up to 6 people and can legally carry up to 6 passengers. 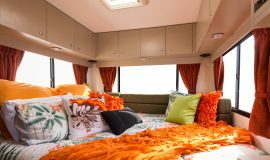 Perfect for a big family or a group travelling together. 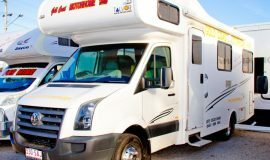 All our luxurious motorhomes run on diesel fuel and are automatic transmissions. 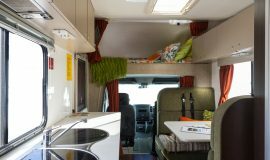 The built-in reverse camera makes reversing a breeze and you’ll be comfortable in any climate with its reverse cycle air conditioning system. 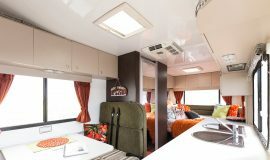 Inside, you can enjoy TV/DVD, cook in your full kitchen with its microwave oven and fridge/freezer which can run on 12volts and 240volts. 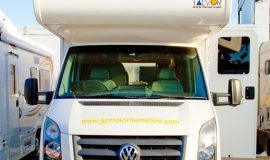 No more leaving the comfort of your motorhome to visit the amenities block, you have your own on-board toilet and shower! 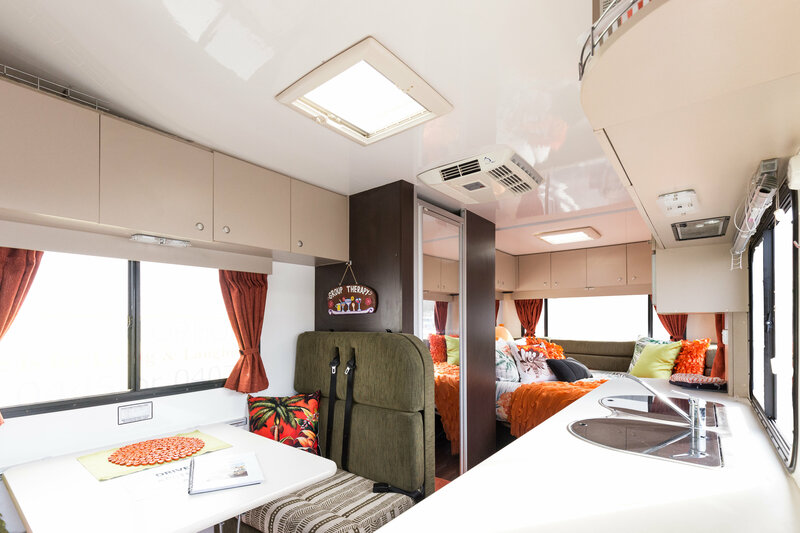 Make the most of the great outdoors with an electric push button awning, awning mat, exterior lighting, and sound system (both use Bluetooth technology). 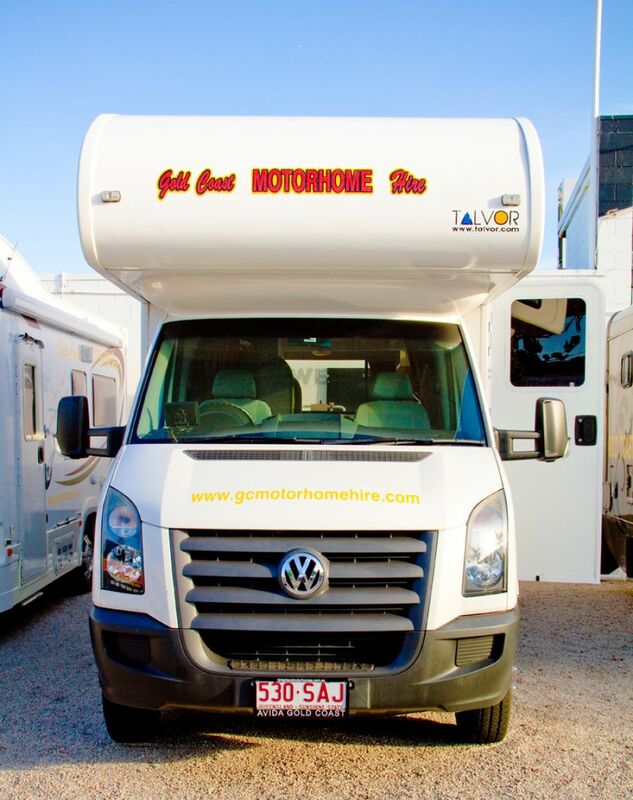 We also include 4 outside camping chairs, an outdoor camp table and a Webber BBQ which simply connects to the outside of the motorhome. Envy has bike racks, so you can even bring along your own bikes or hire some from us! 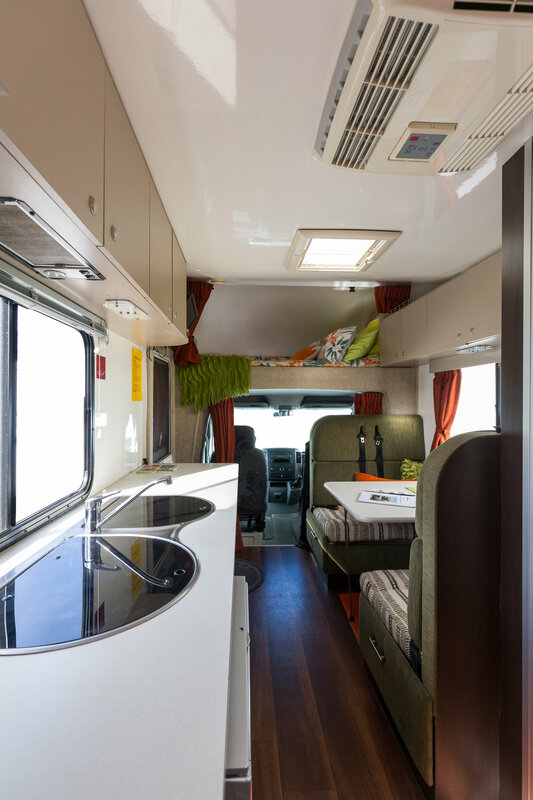 The fitted solar panels mean you can even go off the grid and still take some luxury with you. 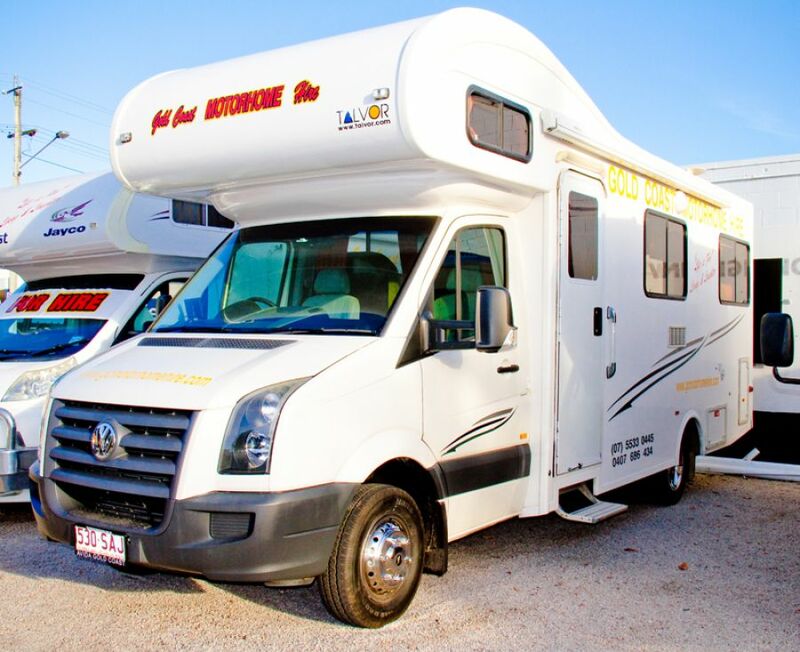 See the other Gold Coast motorhome hire options in Our Fleet.